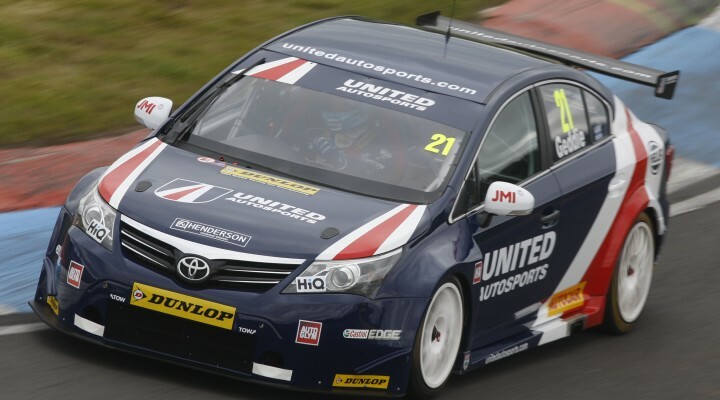 Results do not tell the full story of United Autosports’ maiden foray into the Dunlop MSA British Touring Car Championship, none more so than what the team experienced at Knockhill recently. Glynn Geddie achieved the team’s best grid start with 11th in qualifying and went on to comfortably run inside the top ten, before contact with another car sent him tumbling down the order. Geddie and team-mate James Cole were later blighted with mechanical issues, again preventing the duo from showing their true form. If you look at the last two events Geddie’s pace in particular has been well inside the points paying positions and often knocking on the door of the top ten. This is no mean feat in one of the toughest motor racing championship’s in the world, but the team realise such pace has to be shown for an entire race distance in order to reap the rewards. “We head to Rockingham after achieving our best qualifying position of the year at Knockhill when Glynn qualified tenth,” enthused Richard Dean, Team Owner and Managing Director. “We have also proven we can run at a pace in a race good enough for the top ten. It’s about time we actually achieved our potential! Geddie was broadly in agreement with his team boss although recognised the need to work on the team’s pace over a full race distance, sighting a performance drop off in the latter stages of bouts. Both drivers are in confident mood, however, and see no reason why the team shouldn’t be targeting its best BTCC weekend so far at Rockingham. “The team and I are feeling a lot more upbeat heading into the Rockingham weekend,” said Cole. “Glynn proved the car is starting to show pace in qualifying. I am hoping for a trouble-free weekend with no reliability issues. If we can achieve this we should be able to achieve some positive steps forward. Like Cole; Geddie is hoping previous successes will stand him in good stead when the 31-car tin top roadshow rolls into Northamptonshire. Only time will tell if the Anglo-American team can continue its progress at Rockingham and you can be there to see all the action from rounds 22, 23 and 24 of the Dunlop MSA British Touring Car Championship – see www.rockingham.co.uk for more details.